This package includes Hardcover and LaunchPad. 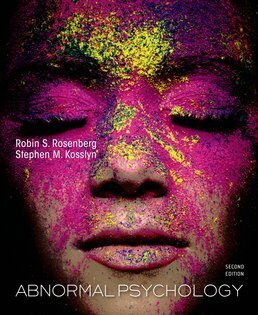 Combining the latest research from neuroscience with a culture-based approach and dynamic human examples, Abnormal Psychology helps you comprehend both the scientific foundations and the personal impact of mental illness. The text brings you to the forefront of the study of the brain and its role in psychological disorders. 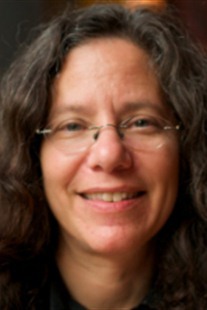 Robin S. Rosenberg is a clinical psychologist in private practice and she has taught psychology courses at Lesley University and Harvard University. In addition, she is coauthor (along with Stephen Kosslyn) of Psychology in Context and Fundamentals of Psychology in Context. She is the editor of Psychology of Superheroes, and contributor to The Psychology of Harry Potter, and Batman Unauthorized. She is board certified in clinical psychology by the American Board of Professional Psychology, and has been certified in clinical hypnosis. She is a fellow of the American Academy of Clinical Psychology and is a member of the Academy for Eating Disorders. She received her B.A. in psychology from New York University, and her M.A. and Ph.D. in clinical psychology from the University of Maryland, College Park. Dr. Rosenberg completed her clinical internship at Massachusetts Mental Health Center and had a postdoctoral fellowship at Harvard Community Health Plan before joining the staff at Newton-Wellesley Hospital’s Outpatient Services, where she worked before leaving to expand her private practice. Dr. Rosenberg specializes in treating people with depression, anxiety, and eating disorders, and is interested in the integration of different therapy approaches. She was the founder and coordinator of the New England Society for Psychotherapy Integration. Dr. Rosenberg enjoys using superhero stories to illustrate psychological principles, and can sometimes be found at comic conventions. 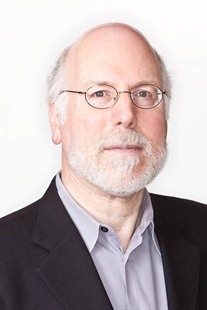 Stephen M. Kosslyn is the Founding Dean of the Minerva Schools at KGI (Keck Graduate Institute). Previously, he served as Director of the Center for Advanced Study in the Behavioral Sciences and as Professor of Psychology at Stanford University. Kosslyn also is the former chair of the Department of Psychology, Dean of Social Science, and John Lindsley Professor of Psychology at Harvard University. He received a B.A. from UCLA and a Ph.D. from Stanford University, both in psychology. Kosslyn’s research has focused primarily on the nature of visual cognition, visual communication, and individual differences; he has authored or coauthored 14 books and over 300 papers on these topics. Kosslyn has received the following accolades: the American Psychological Association’s Boyd R. McCandless Young Scientist Award, the National Academy of Sciences Initiatives in Research Award, the Cattell Award, a Guggenheim Fellowship, and the J-L. Signoret Prize (France). He has honorary Doctorates from the University of Caen, the University of Paris Descartes, and University of Bern. Kosslyn has been elected to Academia Rodinensis pro Remediatione (Switzerland), the Society of Experimental Psychologists, and the American Academy of Arts and Sciences.